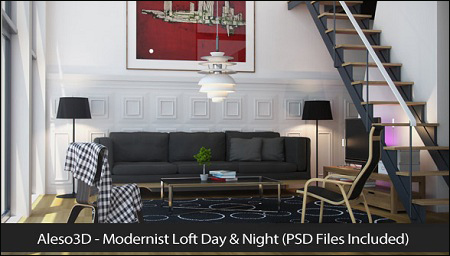 This is NEW Full 3ds Max 2010+ with Vray Render ready to download, this is really great scene if you are looking for learn realistic and complex vray lighting. This scene comes with two different scene setup DAYLIGHT & NIGHTLIGHT for maximum learning options. This scene is setup with realistic vray shaders, fully detailed 3d models, hires textures, accurate lighting, full render setup, PSD files included in the package and much more.